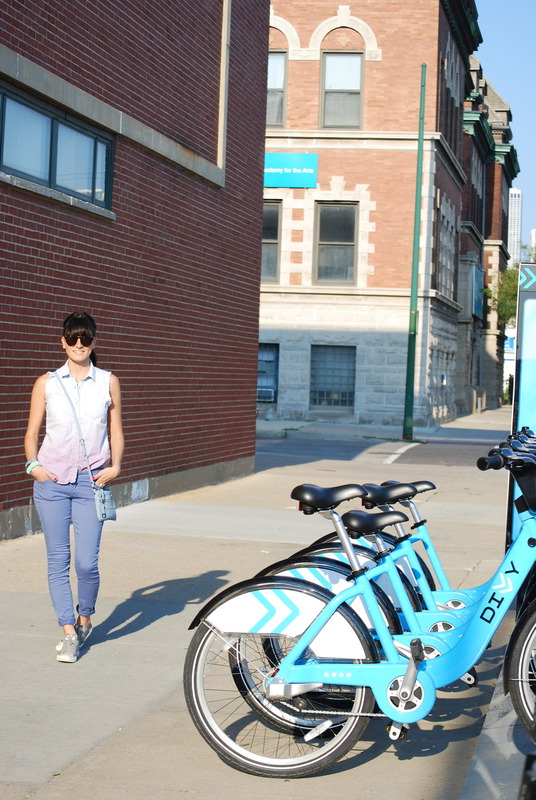 If you live in Chicago and haven’t heard about Divvy Bikes then you must be living under a rock (literally). 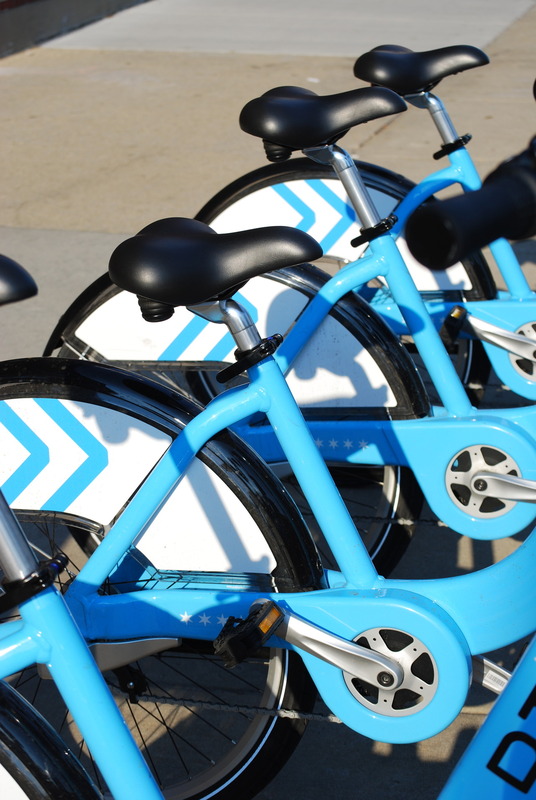 It’s a fun idea for a bike sharing system and great for a photo shoot as well. 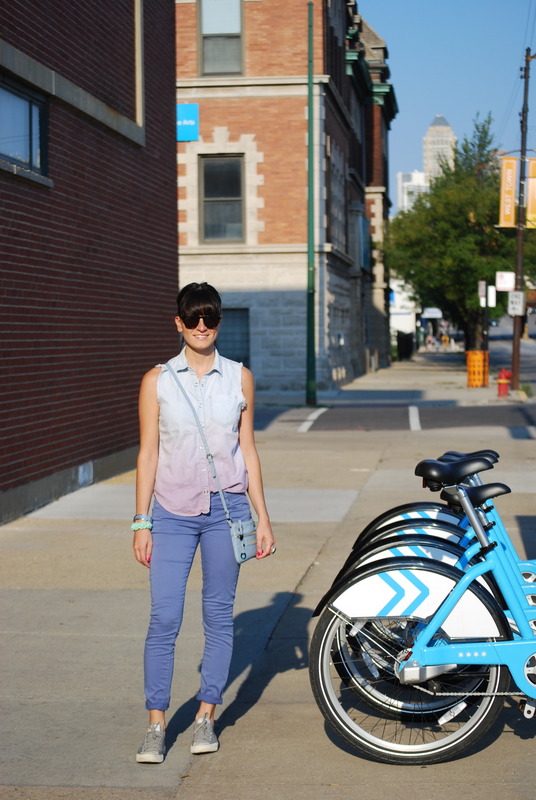 I’m not ready to let go of summer; hence the Poolside Ombre Chambray shirt, perfect for those afternoon bike rides.